Exactly one year ago, a pair of Bell 429 helicopters was captured during a demo flight. During that day, on 11 May 2016, nobody could have guessed that within a year both helicopters # 143 OM-ATR, and # 202 OM-BYM would have been destroyed, killing 6 occupants, and severely injuring two. This is quite remarkable. 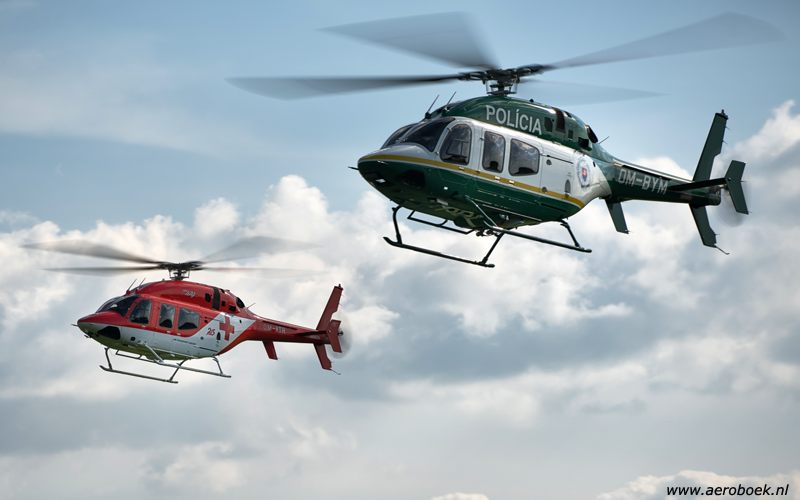 Although the circumstances of the accidents are very different, both helicopters have a lot in common. An accident investigation report of the first crash on 7 September 2016 has not yet been published. Approximately 300 Bell 429 Global Rangers are currently operating around the globe. #046, XC-VVE on 15 August 2015. #197, RA-01617 on 1 January 2016. #143, OM-ATR on 7 September 2016. #249, N598PB on 15 February 2017. #202, OM-BYM on 10 May 2017. Nowadays approximately 275 Bell 429 Global Rangers have been build, delivered and are operating around the globe. Thirteen of these have been equipped with a Wheeled Landing Gear. Out of a total fleet of 275 units, two airframes have been lost in accidents; #046 and #197. On 16 March 2016 the last of 15 units was accepted by the Canadian Coast Guard. Details and photo’s of all 15 units can be found on the Bell 429 production page. #204 The first 429 for the Swedish Police. #266 Another VIP 429 with a WLG in Brasil. The Bell 429 Gobal Ranger production page has been up-dated. #191 G-WLTS Wiltshire Air Ambulance.